2009 Flu Shot Schedule Released! The CDC recommends beginning immunization clinics around early October so we will begin administering seasonal influenza vaccine on October 1st at both locations. 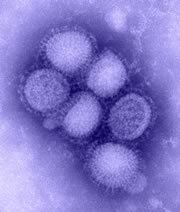 For H1N1 Vaccine Information, please click here. Zostavax (Shingles) Vaccines are available and recommended for those 60 and over; Zostavax can be given safely at the same time as your flu vaccine. As always, your local Island Drug pharmacists will be providing the immunizations, as opposed to an out-of-area "service". Further, we will continue to offer immunizations on a walk-in basis throughout the rest of the season into next year. Our walk-in service quite simply makes Island Drug your MOST CONVENIENT VACCINATION DESTINATION! By training each and every one of our pharmacists to become certified immunizers, we can offer vaccination services EVERY HOUR WE ARE OPEN; no appointments necessary! We look forward to contributing to a healthy community by immunizing as many people against the Influenza virus this fall as possible. Our price will remain the same as the last four years; $30 for each flu shot. More information, including local flu activity, will soon be available on our Immunizations Page, with urgent updates being posted immediately to the news section of our Homepage. As a subscriber to our Email list you will be informed as directly updates become available. The anticipated release of the H1N1 Vaccine is mid-October, please click here for more information.